We’d love your help. 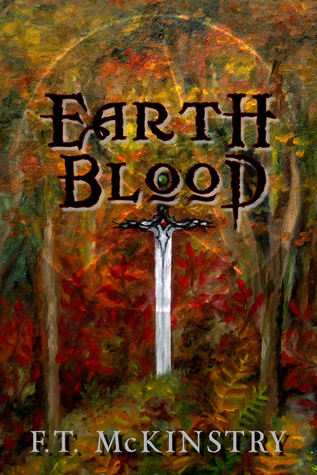 Let us know what’s wrong with this preview of Earth Blood by F.T. McKinstry. This story is included in Wizards, Woods and Gods, Second Print Edition. To ask other readers questions about Earth Blood, please sign up. Phenomenal writing combines with the power of magic to create one exquisite short story. Though very short, the writing is gripping, and a very strong point is made. It's almost like a fantastic opening scene in a tale of murder, revenge, and magic. I would LOVE to read more about Harald and Asa, and even Wolf (the horse). It's refreshing to see an awesome plot developed in such a short story. Epic is the best way to describe it. I received a free copy in exchange for an honest and unbiased revie Phenomenal writing combines with the power of magic to create one exquisite short story. Though very short, the writing is gripping, and a very strong point is made. It's almost like a fantastic opening scene in a tale of murder, revenge, and magic. I would LOVE to read more about Harald and Asa, and even Wolf (the horse). It's refreshing to see an awesome plot developed in such a short story. Epic is the best way to describe it.